Incredibly simple to use, the Series 5 multifunctional model is an ideal oven to welcome into your kitchen. Enjoy this machine’s intelligent features, which make every step of bringing a recipe to life that little bit easier. 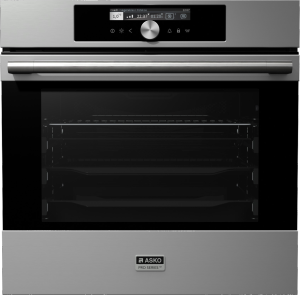 The ASKO Series 5 multifunctional ovens are designed for easy use and manufactured to the highest standards. 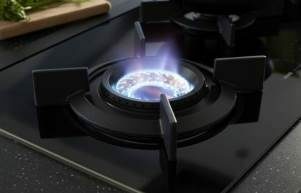 Intelligent features are incorporated seamlessly, creating kitchen powerhouses that enhance any recipe or cooking style. The OT8656S Pro Series oven meets all ASKO expectations, with 75L of usable oven volume, a stainless-steel finish and 12 oven functions. 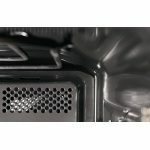 Additional ease-of-use applications include an Auto Roast Function for the perfect dinner and a convenient Aqua cleaning system that does the hard work for you when the cooking is done. 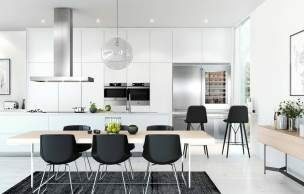 ASKO appliances are built to complement the style and professional look of contemporary kitchens. Built-in wall ovens are space-saving and functional, transforming the kitchen into a clean and effective workspace free from unnecessary obstacles. 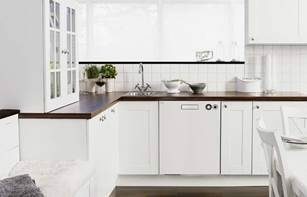 Additional ASKO kitchen appliances can be situated above and below, or placed side-by-side to create great versatility while still retaining the smooth, distinct ideals of pure Scandinavian products. 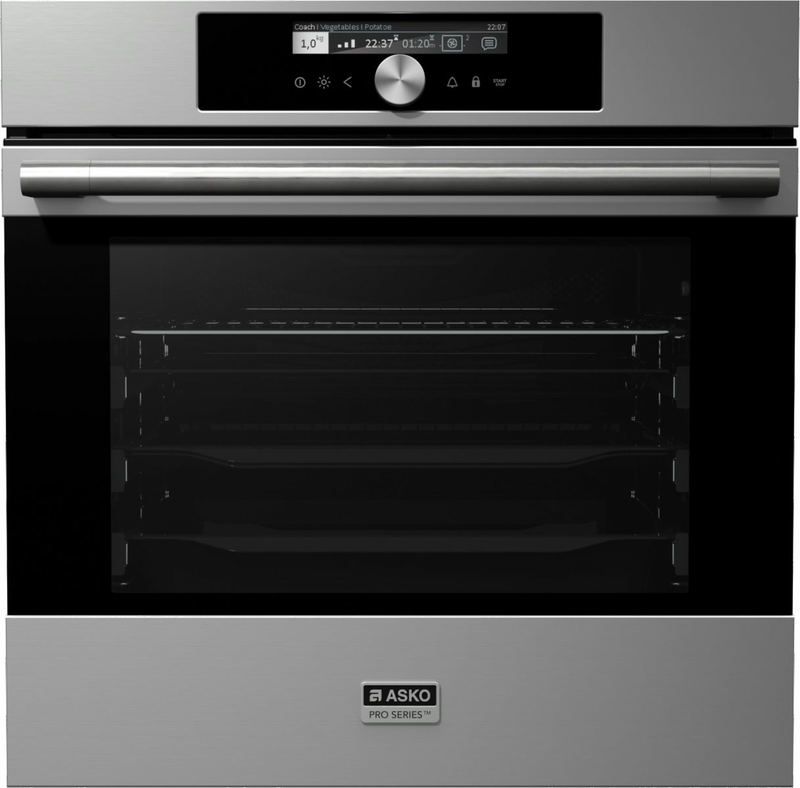 The ASKO OT8656S Pro Series Oven is a worthy addition to the ASKO range, providing an unparalleled cooking experience and culinary results that can be proudly shared with family and friends. 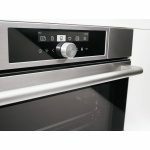 ASKO electric ovens are easily installed into new or existing spaces. 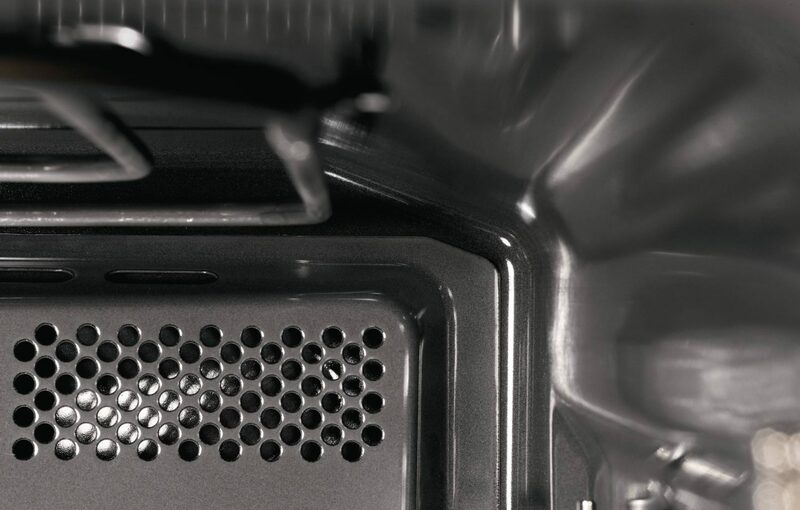 Precise manufacturing and a quality finish ensures the oven become a much-loved household feature. The timeless style of Scandinavia is apparent in the minimalist approach to contemporary design, where ease of use sits comfortably beside the capacity to perform complex functions. 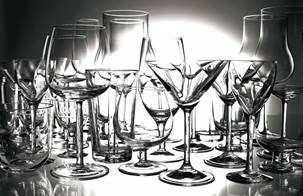 These ideals have been at the forefront of ASKO manufacturing since 1950, when the first products were created. The demand for kitchen products that stand the test of time hasn’t waned, and ASKO ovens continue to meet the highest demands of function and durability. ASKO is at the cutting-edge of kitchen design, and glowing endorsements from highly-regarded chefs around the world are proof that the ASKO design revolution is catching on for both domestic and professional use. 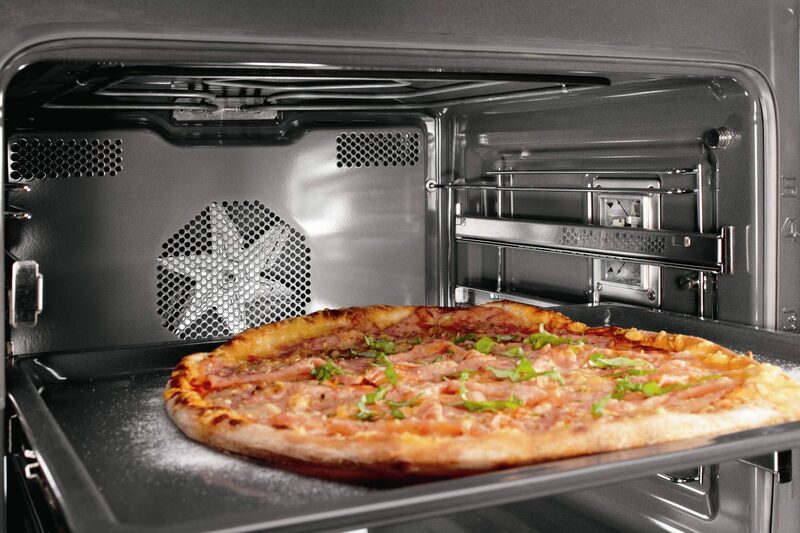 This Pro Series oven facilitates all cooking methods. 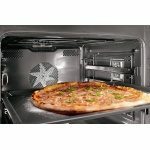 For example, the bottom heater, round heater and fan can operate together, creating a baking environment remarkably similar to a traditional wood fire oven – perfect for pizza, cakes and pastries. Regulated heat circulation ensures all levels are cooked consistently and evenly, while you get the credit for your newfound culinary skills. More people than ever are choosing healthy eating as an alternative to fast food and takeaways. The tide has turned thanks to ASKO innovations that help create nutritious and tasty meals on short notice. 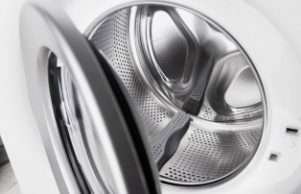 Scandinavian design simplifies essential household functions yet still achieves results that are tailored for modern lifestyles. The ASKO OT8656S Pro Series Oven introduces a new generation to functional cooking by using sturdy, long-lasting components and smart operating systems. 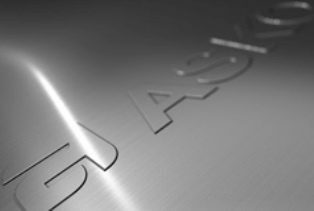 Outdated kitchen design and equipment is rapidly being superseded by ASKO products that use progressive technology and consumer-friendly applications. 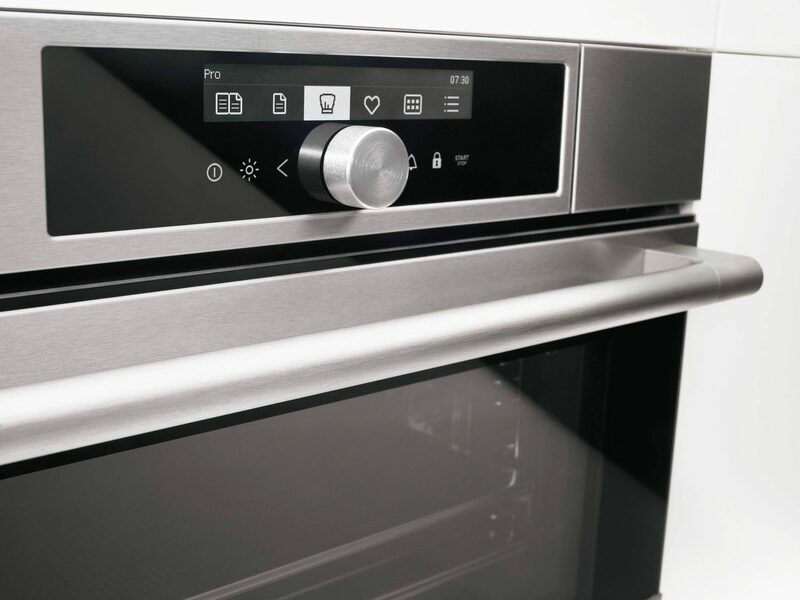 Pro Series solutions are tailored for all-round oven performance, transforming the kitchen into a worthy centrepiece and vibrant hub of your home.